A home brewer's delight! 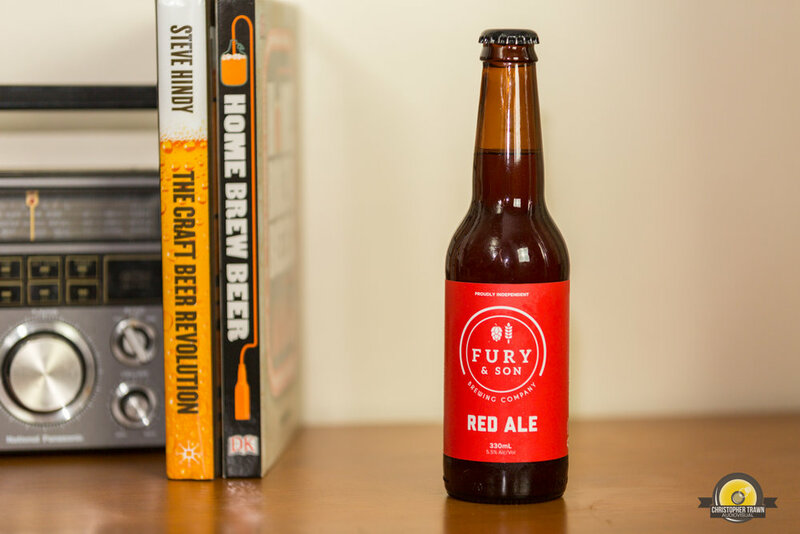 Red Ale is on the menu at Fury & Son and I for one am loving the fact. The Good: Really nice hint of caramel from the malt, with some of the classic craft beer hoppy flavours we all love. Nice to see a craft brewery putting out a red ale, something we don't see enough of in Melbourne (or maybe that's just my home brewer bias showing). The Bad: There's something I can't quite put my finger on, maybe the balance of the brew or something with the biscuit flavours...I'm not sure. Just seems like somethings just a tiny bit out of whack. That said, this is still a great beer. Enjoyment: This is the sort of beer you can drink one of love, drink two of and then stop. Really nice caramel flavours, certainly better than some of the home brew red ales I've tried, and as I said great to see a red ale from a decent brewery. I wouldn't go for a full session on it but an awesome brew to kick start a night. Final thought is it could be a great beer to pair with food, but with what...?